Toyota Camry V50 2012 or What Means American Values? In 2012 was debuted Toyota Camry V50 of the seventh generation. The sixth model was the most successful in the Camry family, so the heir should have been given a lot of attention to retaining positions in the E class. A reputable company like Toyota has its own opinion on how to create cars. That is why the new model is technically different from its competitors, but the Japanese, as before, rely on the reliability and durability of the design. 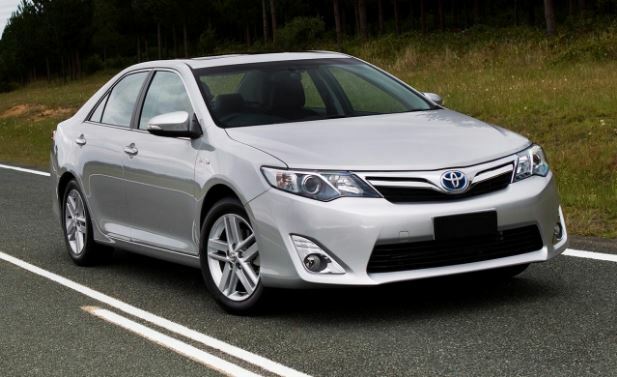 Appearance of the Toyota Camry V50 2012 was created and oriented mainly for Americans. That’s why there’s so much chrome in the new car. By massiveness, the grille of the Camry, which is covered with chrome, will not give the way to models of the more prestigious brand-Lexus. 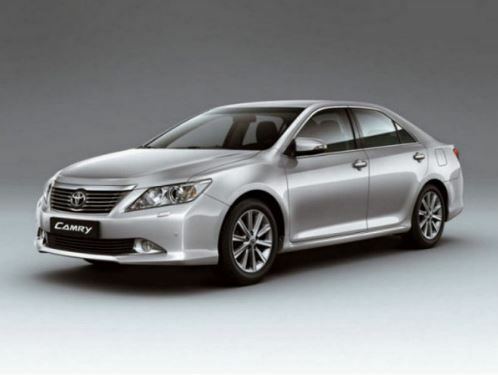 It is worth noting that the Camry has something similar in appearance with the Lexus ES. The bumper also deserves a separate mention. The lower edge of the bumper plays on the aerodynamics and diverts the streams of air into the side, from the car. The hood cover is very massive, it has a punching above the engine block, the hood line is not so high above the wheels. The side part of the car is decorated with a chrome “belt” on the threshold, as well as chrome handles. Hind feet are very massive. Between the stops is a chrome strip, which serves as a visor for the license plate. Opening the door, sitting down the car and closing the door, you want to enjoy the chrome trim on the threshold with the inscription Camry, the soft sound of closing the door also brings pleasure and speaks of good noise insulation of the car. The driver’s seat becomes wider and almost devoid of lateral support. But the chair itself and the steering wheel have electrical adjustments in a very wide range. The sedan engine is started by pressing the button, which is located on the right side of the rudder. The sedan in top-end configuration is equipped with a three-zone climate control with an ionizer from Panasonic. 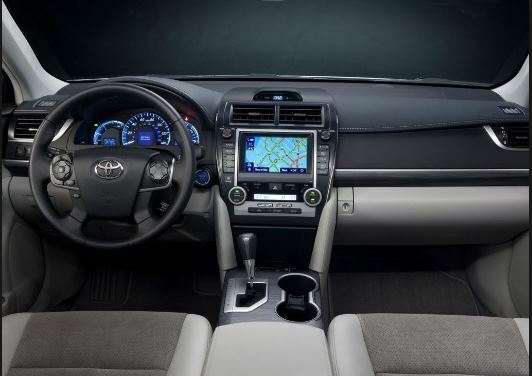 Humidifier for Camry is used for the first time, although competitors, earlier, already offered this option on their models of class E. In any of the modifications, the Camry is equipped with a radio with touch screen, but in an expensive set the car is equipped with a navigation system, the image of which is displayed on the above described display . So the most affordable Toyota Camry V50 in the “Comfort” configuration can be bought for from 15 000$. « Honda Accord VS Toyota Camry. And Who Is Your Champion?